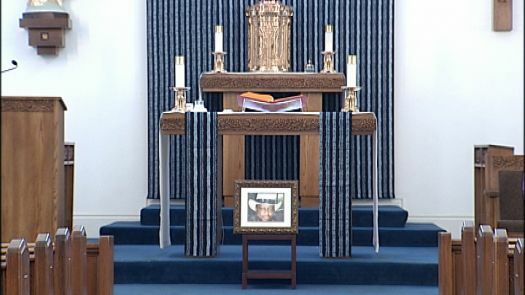 The family of a contractor missing in Iraq for seven years is holding a memorial service even though they’re not completely convinced he’s dead. MOBILE, Alabama – The family of a contractor missing in Iraq for seven years is holding a memorial service even though they’re not completely convinced he’s dead. Timothy Bell’s sisters spent Thursday morning putting the finishing touches on the service, which is scheduled for Saturday, the seven year anniversary of his disappearance. Bell was one of 17 Americans wounded or captured when their convoy was ambushed two weeks before he was scheduled to return home. Nine Americans were killed in the attack, and last year the Department of Defense declared Bell dead too. Bell’s family still has questions. “I’m not convinced by a piece of paper,” said Felicia Carter, Bell’s sister. “Yes, we will have a service. We will celebrate his life, and we will still leave here with a void of not knowing 100% what happened to Tim,” Carter said. The memorial service is scheduled for 10am on Saturday, April 9 at Most Pure Heart of Mary Catholic Church on Sengstak Street in Mobile.